Global financial markets are in the midst of a massive sell-off this week and tech stocks are among the worst hit. Payments companies like Square were leading the losses, despite impressive gains earlier this year. On Wednesday, the company announced its CFO was departing to become the CEO of Nextdoor. Follow the market’s biggest individual stock moves here. 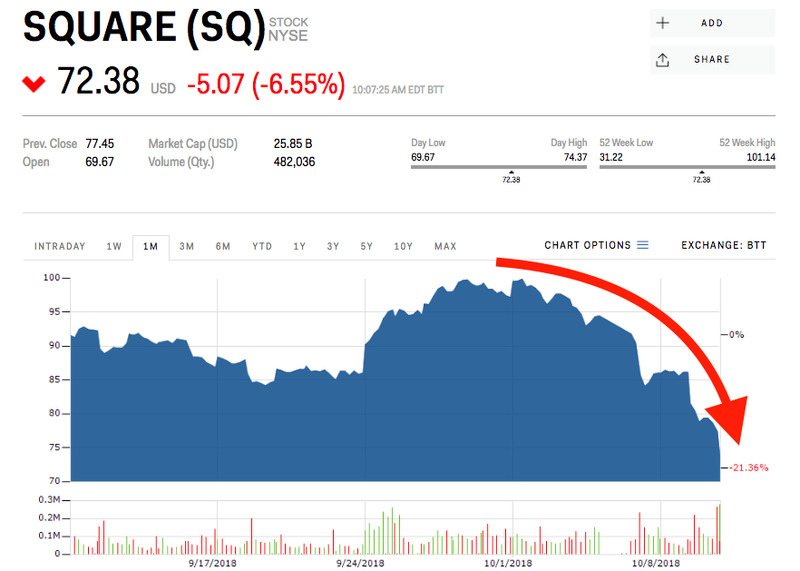 Square is getting demolished amid the stock market’s bloodbath this week. The payments stock lost 6% at Thursday’s opening bell after already losing more than 10% during Wednesday’s rout. Shares are now about 30% below their record high of $US101.15 set on October 1. For context, the tech-heavy Nasdaq has shed about 8% over that time and the benchmark S&P 500 has lost less than 5%. Square had seen a lengthy rally this year, soaring more than 190%, getting multiple upgrades from Wall Street analysts along the way as the company announced new features like peer-to-peer lending and research showing its downloads had easily surpassed its biggest competitor, the PayPal-owned Venmo. One analyst, Dan Dolev of Nomura Instinet, even suggested Square be included in the high-flying FAANG tech index. But those gains could be short lived. 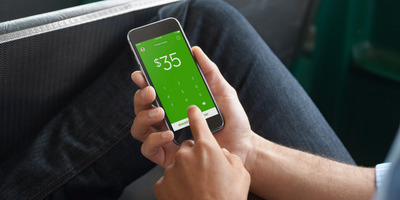 Last week, a Wedbush analyst wrote a report that said the company’s new peer-to-peer lending program could hurt Square’s credit worthiness and that the top for the stock may already be in. And on Wednesday, Square CFO Sarah Friar announced she was departing to become the CEO of Nextdoor, a neighbourhood-focused social network. Still, Thursday’s opening bell could leave Square with a market value equivalent to its early August price, near $US70 a share. Other fintech stocks were also declining rapidly amid the wide sell-off. IPAY, an ETF designed to track payments stocks including Square lost nearly 5% Wednesday, with PayPal leading the pack. FirstData and Evertec also lost more than 4% and continued to sink overnight. You can follow the markets’ biggest gainers and losers on Markets Insider here.